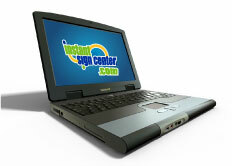 Instant Sign Center "ON LINE" is open and ready to do business with you 24/7. We offer numerous online business tools that make it easy for you. Our website allows you to easily request estimates and place orders any time of day or night. Our artwork proofs are delivered via email, making for a fast and easy turn around. Email us at orders@instantsign.net or call 800-339-0150 for more information.